Why is weight loss so difficult? For many people, yo-yo dieting has become their life norm and genuine progress seems unattainable. Does this describe you? Achieving success in weight loss requires serious commitment, time and a plan. These are things that many people simply don’t have. You’re already maxed out with commitments to work and family! Perhaps it’s for this reason that Nutrisystem has become so popular. This system offers dieters a weight loss plan that requires little effort and takes away some of the most loathed parts of dieting like calorie counting and portion planning. But, what is the success rate of dieters on this program? How much weight can you expect to lose? How much does it cost? In this comprehensive Nutrisystem review, you’ll learn exactly how this diet plan works, what you can expect from it, how it compares to other diets and more. Ready to learn if this is the right diet plan for you? Click through to the section that interests you most or get the whole story by reading straight through. Nutrisystem Food: What Will You Eat? Nutrisystem Cost: Will this Diet Fit in Your Budget? 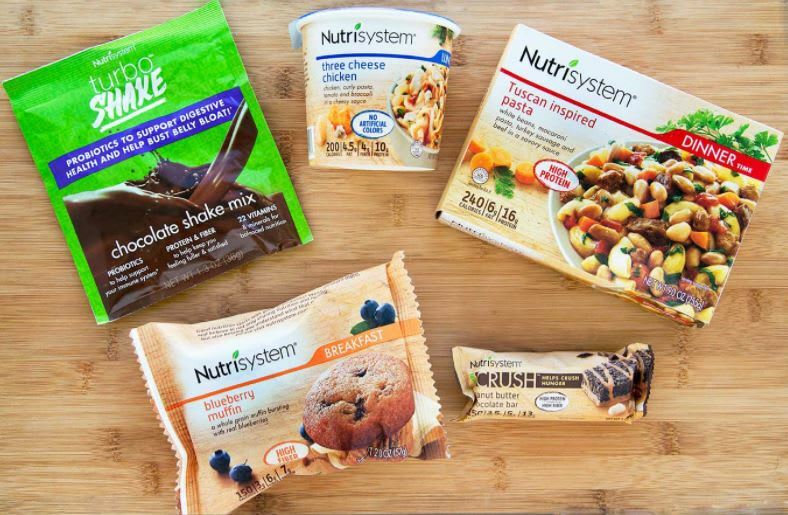 The Bottom Line: Is Nutrisystem the Answer for Easy, Quick Weight Loss? Nutrisystem, founded in 1972, is a company that offers weight loss services and products in the form of meals and snacks. The process is simple. You choose a 4-week plan based on your weight loss goals, needs, and budget, and then the pre-packaged food arrives at your doorstep. The foods are carefully prepared so that you don’t have to worry about portion control, nutrition or feeling hungry. On the plan, you’ll eat six meals a day, which can help keep your stomach from grumbling, even while restricting calories. The effort you put in for meal planning is minimal, although you will have to pick up some vegetables, chicken or turkey and dairy items to supplement the packaged meals and snacks (1). On the plus side, the plan offers grocery lists and tells you exactly what to prepare and when to eat it, eliminating guess-work and planning. Basically, this diet simplifies weight loss by taking care of the meal planning and calorie-counting components for you, so all you have to do is follow the plan and eat. The formula for success is based on the time-tested diet principal of restricting calories through portion control. However, the diet also focuses on eating whole grains, healthy carbs, proteins and plenty of fiber to promote a sense of fullness and maintain steady blood sugar levels (2). This aspect of the diet is similar to GOLO and other diets that address blood sugar levels. Exercised is encouraged, but not an absolute requirement. Through Nutrisystem, you’ll receive some information about how to incorporate more exercise into your life. In addition, you’ll watch your progress through the system’s tracking tools and an app called “NuMi”. Some of Nutrisystem’s plans also include the ability to speak with counselors and dieticians about reaching your weight loss goals. However, even the most basic plan comes with a complete pack of information that explains the diet, how to follow it and how to eat out while still following your plan. There is also plenty of support for you when you’re ready to stop using the prepared foods. Nutrisystem offers a website full of helpful recipes and general advice for keeping the weight off (3). Typically, dieters kick-off with the Turbo Takeoff week. This name is based on Nutrisystem’s claim that you can lose up to 13 pounds in your first month on the Turbo13 plan. During the first week, you’ll consume TurboShakes or Nutri-Pro Shakes (the former for women, the latter for men), NutriCurb Bars and TurboBoosters. The shakes are similar to a protein shake, but also include probiotics to help give your digestive system a boost. The NutriCurb bars are also protein heavy, but also offer fiber and that sweet taste that will get you through the afternoon when starting your diet. Finally, TurboBoosters are essentially a nutritional supplement that can be added to beverages including the shakes. The TurboBoosters can give you an energy boost and promote a healthy metabolism, Nutrisystem claims. You can purchase these items as desired while you’re on the diet, but are only included in the first shipment you’ll get after ordering your plan. Ultimately, any diet’s worth is measured in its effectiveness. Before you decide to give this diet a shot, take a look at the research that’s been done that will help you decide if Nutrisystem will work for you. Below, several studies are outlined. Keep in mind that one of these studies was conducted by Nutrisystem itself, so you should take those results with a grain of salt. 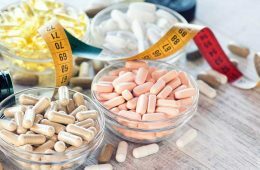 This study, published in the Annals of Internal Medicine studied how well a variety of commercial weight loss programs, including Nutrisystem, perform compared to control groups who received education and counseling. The results show that Nutrisystem does work. The Nutrisystem group achieved at least 3.8% more weight loss than the control group. 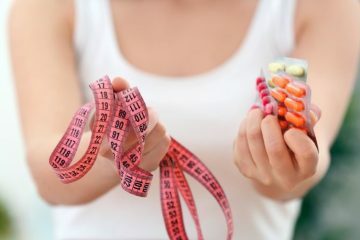 While a modest improvement from counseling and education, the study also suggests that further research is necessary to understand how effective commercial weight-loss programs are. While Nutrisystem isn’t referenced directly in this study, it offers relevant findings. Published in the New England Journal of Medicine, the article addresses misconceptions and truths about obesity. As one of the facts listed, authors note that “provision of meals and use of meal-replacement products promote greater weight loss.” Nutrisystem’s plans fit in perfectly with this idea, as the provision of meals is the main characteristic of the weight-loss program. In a study completed by Nutrisystem, the DASH (Dietary Approaches to Stop Hypertension) diet is compared to Nutrisystem’s plan. The results showed overwhelmingly that subjects on the Nutrisystem plan lost more weight and had a greater reduction in waist and total body circumference than those on the self-directed DASH diet. Eighty-four overweight or obese subjects were included in the trial which lasted four weeks. 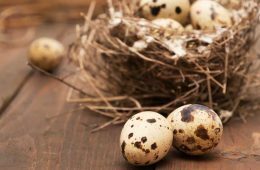 The research is overall fairly positive, although it’s important to keep in mind that following a reasonable diet and making healthy lifestyle changes can offer similar results. But, diets are also all about the experience. How hard is it to follow? Do you have to suffer from hunger? What do users have to say about it? This customer reports that he was able to lose 25 pounds, which was his goal for weight loss. The pros of the diet according to Thomas are that it’s easy to follow and that he’s found great meals that he really enjoys. Thomas also reports that he doesn’t get hungry while on the diet due to the regular meals and snacks that come with the plan. Another positive note is that customer service reps are friendly and helpful, Thomas said. This review was posted on Consumer Affairs, a neutral site. Also posted on Consumer Affairs, Barbara reports that she was able to lose 30 pounds in just 3 short months while using Nutrisystem. Although she had to stop using the program due to the price of the plan, Barabara said that the program taught her how to eat. She plans to put the idea of 3 small meals and 3 snacks into place going forward. Barbara also reports that the majority of the food is delicious. Check out Michelle’s Youtube journey through Nutrisystem. This will give you a great idea of what some of the foods are like, pros and cons of the nutrition and how a real person reacts to the diet. She did lose weight on her second week into the program, see how much in the video below! Check out this couple’s final results after 3 months on Nutrisystem. If you’re hoping for inspiration, this might be a good place to start! Both Candi and Ken were able to lose a large amount of weight. Tune in to hear their comments and experiences on the program starting on minute 2:24. US News ranked Nutrisystem number 19 out of 40 in the category of Best Diets Overall, number 5 in the Best Commercial Diet Plans category and number 7 in the category of Best Fast Weight Loss Diet in 2018 (1). This is impressive considering the number of diets out there. Can you imagine what losing 50 pounds on Nutrisystem would do for your appearance? What if you were able to lose even more? You can find out by taking a peek at successful users who have changed their lives through weight loss. There are a lot of impressive Nutrisystem before and after photographs and stories to inspire you to try this product. Their stories are diverse, just like each person is unique. But, where can you find them? Nutrisystem’s website features a section on success stories which include before and after pictures. Here, you can find examples of people who have lost anywhere from 20 pounds to over 100 pounds! 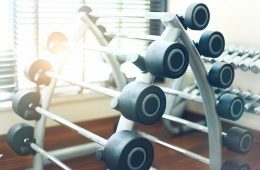 So, whether you have just a relatively small amount of weight to lose, or you’re in it for the long haul to lose upwards of 50 pounds, there’s a story you can relate to. 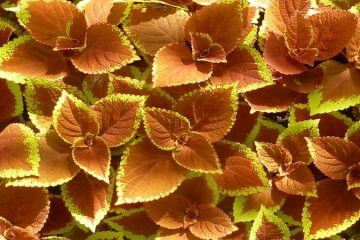 Susan was in her early thirties when she realized she needed a change. Having been overweight throughout her entire adult life, Susan decided she was ready to commit to making life changes to lose weight and keep it off. Using Nutrisystem, Susan says that she learned how to feed herself. Before starting Nutrisystem, she had consumed a diet of fast food and eating out. The new healthier diet which included plenty of fruits and vegetables not only helped her lose weight, but Susan felt more energetic, too. In addition to making changes in her diet, Susan also exercised regularly while on the diet, something she continues to do today. Arya was a 21-year-old student when a concerned uncle told him about Nutrisystem and how he had lost 40 pounds on the program. The young man had a lifetime of bad eating habits to combat and he was severely overweight at 365 pounds. Although it was tough to eat the small portions in the beginning, it was this structure that helped Arya make the necessary change to lose weight. As a person who was very overweight, the program quickly showed results. Arya lost 80 pounds in just 4 months. Then, he began exercising as well. By the time Arya was ready to go off the program, he had learned new eating habits and became creative with creating his own new healthy recipes. Now, Arya is 200 pounds lighter and weighs a slim 163 pounds. It took him 2 years to reach his goal weight. Today, Arya continues to enjoy exercising and has even created a running app called “Heat Running” that allows runners to race others at a similar level, anywhere in the world. Charlene is a mother to six who, after being diagnosed with asthma, realized that weight loss was the only way to be able to freely play with her children without having an attack. So, after her 40th birthday, Charlene signed up for Nutrisystem and a new lease on life. Regular exercise and a new way of eating helped Charlene slim down, losing a total of 35 pounds in a year’s time. Today, Charlene still uses the system’s principals when planning her meals and cooking. Another thing she’s picked up is exercise. Now she’s able to enjoy running again, even with her asthma. 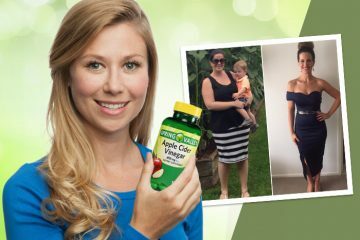 Now you should be feeling truly inspired with these great Nutrisystem before and after success stories! Although each of these customers admits the journey wasn’t instantaneous or easy every step of the way, in the end, they were able to reach their weight loss goals. In addition, they learned valuable lessons in maintaining a healthy diet along the way. Of course, one of the most important questions you’ll want to know the answer to is what Nutrisystem food is like. Read on in the following section to learn all about the food. Even if you’re committing to Nutrisystem for as little as a month, you’ll still want to know what exactly you’ll be consuming. And on top of that, is the food good? One of the main struggles for individuals on diets is temptation and cravings. If your diet food isn’t good, you might find it impossible to resist purchasing one of your favorite food items and chowing down. So, how does the diet system make dieting doable? The company offers a wide variety of meals and snacks. There are over 150 food choices in total. If you choose the UniquelyYours plan, you get to hand-pick each meal for your order and get access to all of the food selections. However, the other plans like Basic and Core include fewer choices and may or may not allow you to customize your order. 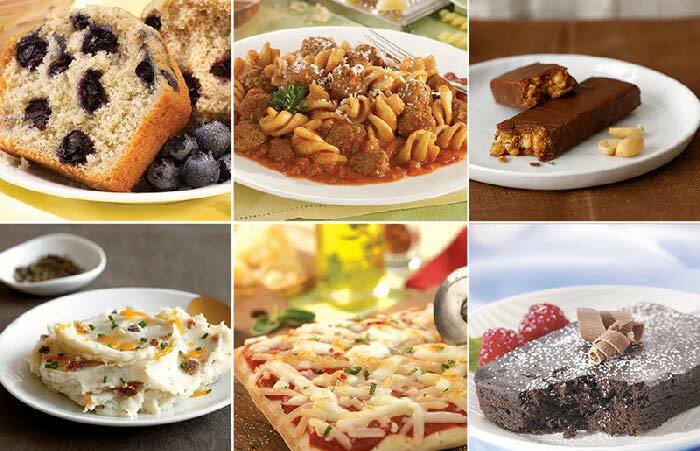 With Nutrisystem, you’ll still get to eat some of your favorite foods that have been prepared in healthier ways. You can see an example of this on the program’s “How it Works” page, which shows the nutritional difference between a Nutrisystem blueberry muffin and a reduced-fat Dunkin Donuts blueberry muffin. For starters, you’ll notice that the Nutrisystem’s version of the muffin has less than half the calories the Dunkin Donuts version has. In addition, the diet muffin has more fiber and less sugar and fat than Dunkin Donuts’. So, the diet works by offering you not only portion control but also nutrition that helps keep you full and feeling energetic throughout the day. On the system, you’ll focus on consuming plenty of protein and fiber, while only consuming “smart carbs” which refer to the carbs found in whole grains, fruits, and vegetables. In addition, the foods are carefully designed to avoid the use of preservatives, excessive salt, and trans fats. To supplement your Nutrisystem meals, you’ll purchase fresh vegetables, fruit, dairy and some meats like chicken or turkey. Overall, you’ll get a healthy diet including some of your favorite food items like pizza, hamburgers, pasta and more. You even get to eat dessert while on the plan. What is it like to be on the Nutrisystem plan? Here are some examples of items that you can eat for each meal and snack of the day. For your lunch and dinner, you will also get to add some fresh vegetables to your meal. In fact, if you’re ever feeling hungry, you can have approved non-starchy vegetables (such as carrots, broccoli and cucumber) in unlimited quantities. These are among the items you’ll pick up at the grocery store each week. 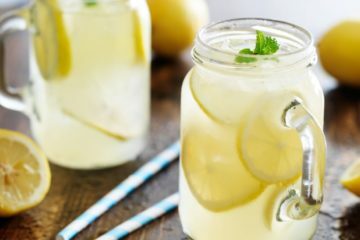 Don’t forget to drink your water as well! Think water’s boring? Try delicious cucumber-infused water with herbs. Finally, there are a few extras and free foods allowed which include condiments and items such as salad dressings which can be consumed in moderation. Also, we knew you were wondering, coffee is allowed! You can even have fat-free creamer and a sugar substitute if you’d like, assuming you include the creamer in your count of 3 “extras” for the day. 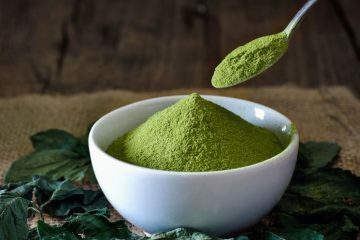 Teas, including green tea are also approved items. Your Nutrisystem program will include some “Flex” meals and snacks, which means you’re on your own to find appropriate food. Although it’s your responsibility to figure out what to eat, Nutrisystem does offer many appropriate recipes and guidelines to help you succeed. These recipes are also ideal for when you’re ready to wean yourself off the prepared meals. But, what’s the trick to a successful Nutrisystem recipe? It’s all about the carb and power fuel (protein) combinations. You should aim to make breakfast and dinner a balance of 1 Smart Carb and 2 Power Fuels. Lunch should be 1 Smart Carb and 1 Power Fuel. Smart Carbs are starchy vegetables like potatoes, fruits, and whole grain foods. An easy example of this plan in action? 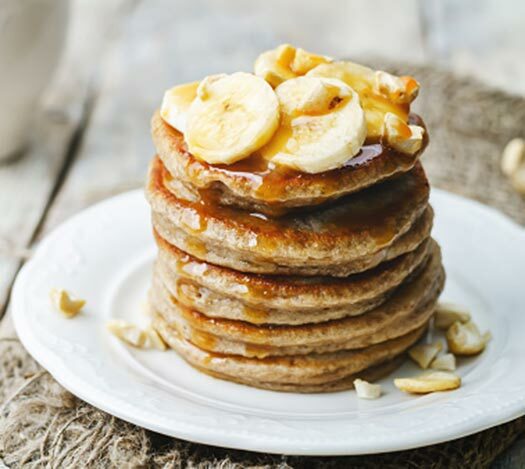 This Nutrisystem recipe: 3 Ingredient Banana Pancakes. For one serving, you’ll need two eggs and one medium banana. Simply mash the ingredients together with a teaspoon of cinnamon, fry in a small amount of cooking spray and voila! A Nutrisystem friendly breakfast. The banana counts as your Smart Carb, and the eggs are your Power Fuels. If you choose to eat these pancakes with a dab of syrup, you’ll have to include one of your 3 daily extras in your calculations. Nutrisystem’s Leaf website is full of Nutrisystem recipes that you can follow, whether you need flex meals or help after you’re off the program. Have you heard of the famous Nutrisystem shakes? Nutrisystem shakes are a great part of the program that typically come with your first order. You can of course order extra as needed. These shakes are also sold at Walmart and through other vendors if you prefer to purchase them separately. 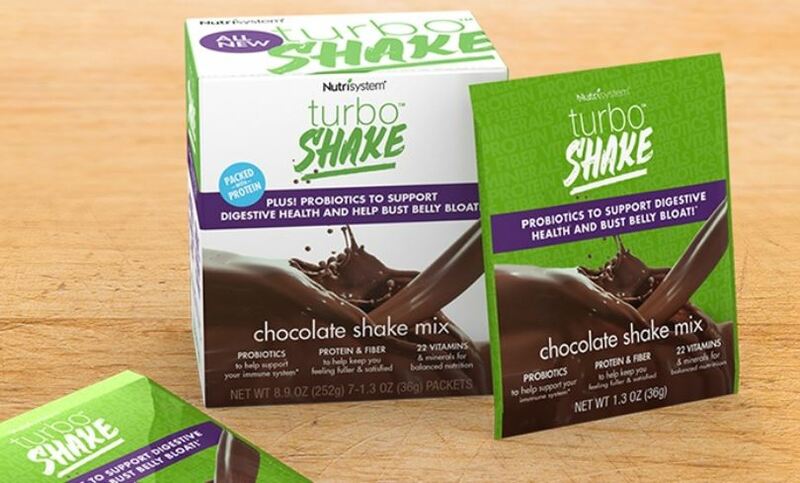 Officially known as Nutrisystem turbo shakes, these are essentially protein shakes that are also full of vitamins, minerals, and fiber. The magic ingredient? Probiotics. These friendly little bacteria will help promote your gut health, helping you avoid feeling bloated. Plus, they come in chocolate and vanilla flavors, and so may help you curb those sweet tooth cravings you get throughout the day. Nutrisystem’s plans range from 10 to just over 12 dollars per day. However, this only includes your Nutrisystem food. You’ll also need to budget in some money for your grocery shopping which will include mostly produce, some meat like chicken, and dairy. Just taking into account the Nutrisystem portion of your meal budget, you’ll need at least $300 a month. Then, add what you’ll spend at the grocery store to get a real sense of what you’ll spend while on the program. Also, keep in mind that there are separate plans for men which include an extra snack per day, resulting in a slightly higher cost. This is to compensate for men’s higher caloric needs. Whether or not Nutrisystem costs are worth it will really depend on each person. For some, skipping an expensive lunch out every day and using the Nutrisystem plan instead might actually save them money. But, for others who must also think about the food budget for the rest of the family on top of the plan, the cost of Nutrisystem may be prohibitive. The good news is that there are plenty of promotions and discounts of which you can take advantage. If the cost has you shying away, don’t give up just yet! 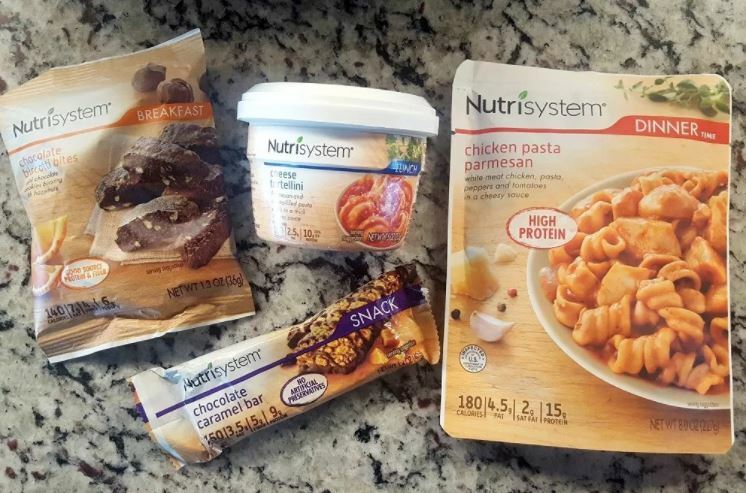 Read on to learn about these great Nutrisystem promo codes and coupons. There’s no reason to pay full price for Nutrisystem when there are promo codes and discounts abound. 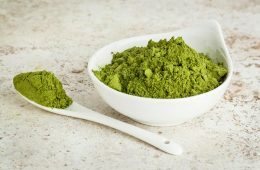 Nutrisystem: The company itself offers a promo page that allows you to get great deals, especially on your first order. In addition to the promotions for new customers, you can also get 35% off any time you order a 4-week auto-delivery plan. LodLois: Is a review website that offers a fantastic 40% off any plan you choose, resulting in hundreds of dollars in savings. Make sure you check back in regularly for updated promotions and discounts. 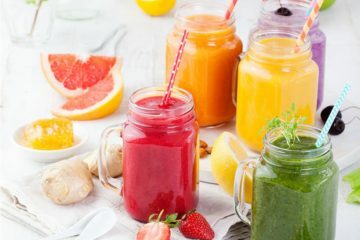 Groupon: This trusty discount and coupon site keeps an ongoing list of Nutrisystem specials and sales on hand for you to use. The list is quite comprehensive and includes the sales you’ll find on Nutrisystem’s website. So, make sure you check it out for some of the best deals! 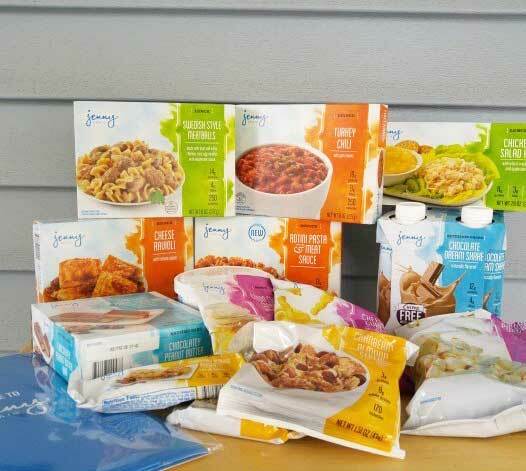 Support: Jenny Craig offers a personal consultant for each client who signs up. This means you’ll have one contact to work with on any issues you have with the program or while dieting. Nutrisystem also offers support tools including the app and the ability to talk with dieticians and counselors, however, you won’t have just one contact. Cost: Jenny Craig advertises on its website that it typically costs about $20 per day in food. But, that’s not all. You’ll also need to pay an enrollment fee and a monthly fee. While sometimes discounts are available, you’re looking at about $600 a month in food plus an enrollment fee of $100 for enrollment and a monthly fee that varies depending on the program. That’s over double what you can expect to pay with Nutrisystem. In the end, Jenny Craig has a higher ranking (number 12 vs. Nutrisystem’s ranking of 19) in the US News & World Report as far as diets go. 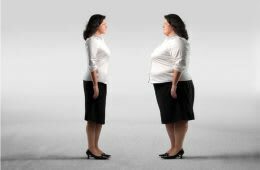 However, you’ll want to weigh the costs against the benefits carefully because the Jenny Craig program is quite expensive. Low Calorie: Nutrisystem focuses on reducing your calorie intake, but not quite as much as Medifast. 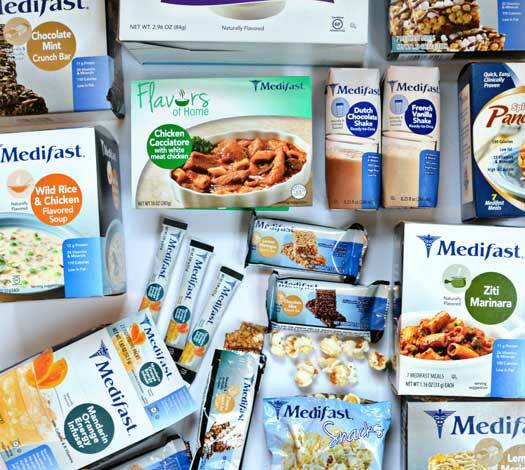 With the Medifast program, you’ll eat five Medifast “meals” or snacks (each of which has around 100 calories) and one lean and green meal you’ll prepare yourself. The lean green meal includes 5 – 7 oz of lean meat, three servings of approved vegetables and some fat. This will put you at as few as 800-1000 calories per day. However, there’s another more flexible program that includes 2 lean green meals and only 4 Medifast foods, which would increase your calorie count. Cost: As far as cost, the program is similar to Nutrisystem and includes similar elements. However, you’re in charge of more complete meals on your own with Medifast, meaning you pay a slightly higher grocery bill. Support: Medifast offers online and phone support just like Nutrisystem, including the assistance of nutritionists. This diet was ranked much lower than Nutrisystem by US News & World Report (number 29 vs. Nutrisystem’s ranking of 19). Where Medifast shows the advantage is in helping you lose weight quickly. Extreme calorie restriction is the most likely reason for this advantage. Another point to note is that Medifast offers options for people with gluten allergies, vegetarians, diabetes and even for nursing mothers. So, if you have a specific medical concern, Medifast may be the best choice for you. Are you wondering about the specific Nutrisystem plan for men? The plans for men include additional calorie allowances to compensate for the fact that in general, men need more calories than women. This plan focuses on men’s needs and achieves results similar to the women’s plans. In fact, men can expect to lose even more than women in their first month. Following the plan, you can lose up to 18 pounds on the men’s plan, with the average weight loss for men being 15 pounds, during the first month. If you’re diabetic, you know that losing weight can help you control the disease by reducing your insulin resistance. However, it can be tough to lose weight while keeping a healthy diet that’s compatible with your diabetes diagnosis. Nutrisystem offers a special series of plans for people with diabetes. 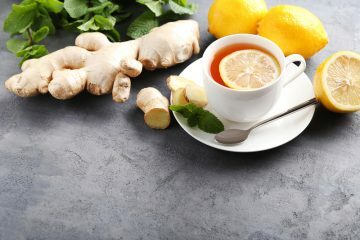 This plan helps you keep your blood sugar under control and lower your A1c levels, while also reducing your cholesterol. Of course, you should always consult with your doctor before beginning any change in diet. Also, be sure to continue to measure your blood sugar levels and take your medications while you’re on the program. For extra support, you can speak with our Certified Diabetes Educators in addition to counselors and dieticians to make sure that you are both successful and safe while reaching your weight loss goals. Nutrisystem comes with a money-back guarantee if you cancel within 14 days. All you have to do is call the customer service number: 1-800-727-8046. You’ll cancel your plan and return the unused food. All you pay for is shipping. Need to cancel an auto-delivery order? The same rules apply, except that you will be charged the $125 auto-delivery discount if you cancel after the first 14 days of the plan. To cancel a Nutrisystem auto-delivery order, call 1-877-338-8446. In today’s modern busy world, it can feel simply impossible to make the necessary lifestyle changes to achieve weight loss. Nutrisystem offers you the tools you need to get started in the form of prepared foods and a clear plan. Slowly, you’ll learn all about healthy eating and meal preparation. That way, when you’re ready, you can try flying solo, cooking and eating on your own again. Nutrisystem offers the support that you may need to make real progress in your weight loss journey. While the weight won’t just disappear overnight, Nutrisystem’s system does simplify things significantly. This plan doesn’t promise the impossible either. Although you may enjoy quicker weight loss during your first month on the plan, the most you can expect to lose is 1-2 pounds a week after that. However, this is considered a healthy speed for weight loss, meaning you will also likely be able to keep it off. If you need structure, a clear plan, and help with meal preparation, Nutrisystem is the plan for you! The best part is that with the help of Nutrisystem, you’ll be educated and prepared to maintain your weight loss once you’ve achieved your goal. Who’s tried it? Who’s ready to give it a go? Tell us about your Nutrisystem experiences and weight loss goals in the comments below. Hello! I want to know if Nutrisystem is suitable for celiac people or with little tolerance to gluten? It is important for me to know this before starting a nutrition plan. After losing the weight by nutrisystem, can we start enjoying the normal scheduled meal life or it is necessary to keep sticking with the weight loss eating habits or meal? I have not used the product but saw the post and the example shown in the post tells that it does work. Will this weight loss be permanent or something that works until the product is used continuously?